We harbour a desire to get our hands on you! After quite a few name changes (Flower, Central Princess, 316 Central), we have settled on Central Moon Bay Massage. Found in Surry Hills directly opposite the entrance to Central Station, our address is Level 2, 316 Elizabeth Street. This ever-popular massage clinic is a hit with both commuters and local residents. Appointments available to 8pm (see our WeChat link below) - call or drop in any time of the day, or on the way home from work. Directions: Eastern side of Central Station. Cross at Foveaux Street, close to Woolworths and Seven-Eleven. Speciality: Generous relaxation massage by attractive Asian masseuses. Parking: Some street parking available. Hourly rate parking on Kippax Street. Public Transport: 1 min walk east from Central Station trains, buses and light rail. Premises: Fresh, spotless, comfortable. Renovated early 2017 for your comfort. 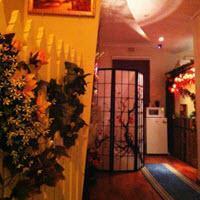 Looking for best relaxation massage near Central, Surry Hills, Broadway, Glebe, Paddington? Call 0449 593 863 Now!